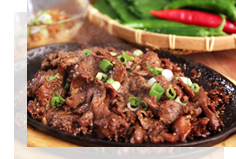 Bulgogi is one of Korea's most popular beef dishes that ismade from thinly s	liced sirloin or another prime cut of beef (rib eye). Bul is the Korean word for fire and gogi is meat, therefore, it translates into fire meat. However, it's not quite spicy in taste but somewhat on the sweet side. 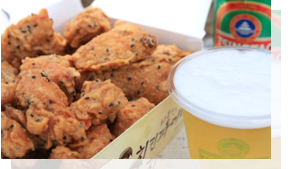 Chimaek, a term that combines the words “chicken'' and "maekju'' (beer), is a combo beloved by many. This glorious pairing features two surprisingly mundane foods: fried chicken and beer. Neither half, chicken nor beer, is particularly remarkable on its own. 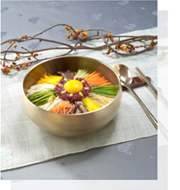 But their popularity as a joint entity demonstrates a glorious combination devoured by millions of Koreans every weekend.